The best of boutique living - This 3-towered, upscale casino has contemporary-chic features in the rooms for your relaxation. Enjoy the amazing view and feel at home with different amenities like kitchens, separate living rooms, and more! 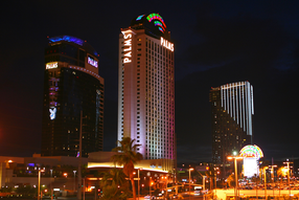 Palms is off strip, but offers complimentary shuttle service to the strip. 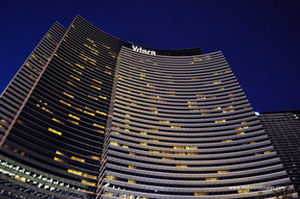 A tower-suite stay at Vdara Hotel & Spa makes it easy for you to explore the Las Vegas Strip. The non-gaming boutique hotel is connected by tram to casinos like the Monte Carlo, and it features smoke-free surroundings and free parking, both rarely found in Vegas. 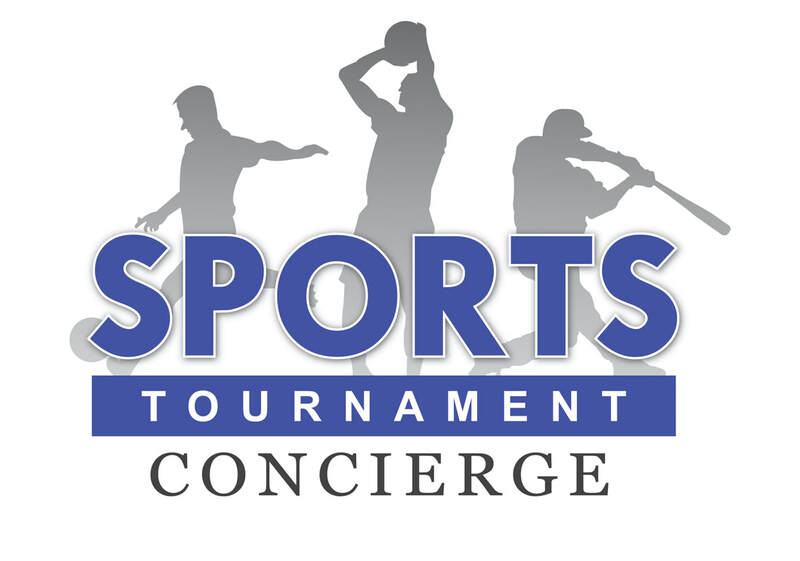 Enjoy the upscale suites that all include living and dining areas, soaking tubs, and kitchenettes. 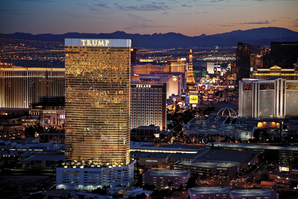 The 5-star hotel in Las Vegas, NV is a 64-story tower of golden glass, home to graciously furnished non-smoking guest suites and 50 luxurious Las Vegas Penthouse suites. Enjoy the sweeping, panoramic views of the city. Our luxury hotel rooms also feature contemporary furnishings, state-of-the-art complete kitchens and pet-friendly amenities.